Everywhere on the web, there is a self-proclaimed financial expert that claims to teach you everything there is to know about saving money, from packing your lunches to doing your own laundry detergent. In my opinion, frugality to the extreme level can take away all the fun, leaving you exhausted and deprived. Worse, you’ll be less likely to commit if you don’t enjoy what you’re doing. 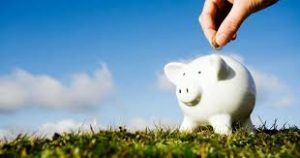 Fortunately, unlike so many other sources suggest, you don’t have to live like a student in order to save money effectively. The following tips are simple tricks that actually work. One of the most common reasons that we fail to save money is simply because it takes a lot of work. Setting aside money for your savings from every paycheck for the rest of your life can be tiresome. If you automate your finances, not only can you save precious time to focus on more important things, but you can also avoid the risk of spending the money because you don’t have it on hand. No matter how much you set aside from your income, it won’t make much of a difference if you do not invest your money. Saving your cash only gives it a higher level of security because you cannot access it too quickly, but investing allows you to grow the said money rather than just let it sit. The sooner you can begin investing, the faster your money grows. So do not save to save, but save to invest. Skip on the morning coffee – that’s the advice you would read anywhere. The problem with this advice is that you would have to abide diligently, every day, for the rest of your life in order to notice any difference, which is not much really. In addition, this can be very stressful on your part, as even a single cheat day can cause you so much guilt. Rather than worrying about the cheapest stuffs that make your life worthwhile, focus on the bigger, more expensive things you can cut back on. For example, you can talk to your landlord and negotiate your rent, or perhaps you can even move a little farther from the city. Check your magazine, cable, and mobile subscriptions and see if there’s any way to reduce those bills or if you can actually live without them. Rather than saving a few pounds that you’ll have to work on every day, these simple things can save you hundreds that you can invest immediately with only minimal work. The logic is pretty simple here. If you want to save more, try to earn more. It will also help those who constantly feel that they are not earning enough. Land a few gigs every now and then, but make sure that your extra cash will go to your savings account and not spend it. 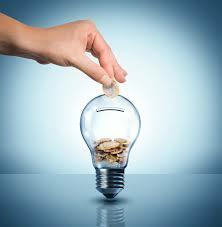 Check out this useful link for ideas on how to make more money. It’s one of the simplest things you can do that only require a few minutes of conversation but should yield hundreds and thousands in the long run. Tap on those negotiating skills and talk to that boss of yours. Chances are, he’s just waiting for you to ask.